Pilates has changed my life. Before Pilates, I was doing a lot of cardio and the focus was always on working faster, pushing harder, sweating more. It was only when I discovered Pilates, my body and mindset started changing. I thought I was reasonably fit, but working slower with a focus on precision and technique was a whole new challenge. Doing regular Pilates has given me a balanced body – it’s toned, strong, flexible and free from aches & pains. As a thirty-something mum of two lovely girls, it allows me to be the person I want to be. What’s great is that it also really improves the body & mind connection, making you feel calm and de-stressed. Doing the Kalm Pilates Back Care programme has really helped with building up my core strength and after 12 weeks, I definitely feel more flexible too. I now even use some of the Pilates moves I learned – like the Pilates Roll Down – when I start feeling stiff at work. Oh no, another fitness fad I hear you say? Not at all! Pilates comes highly recommended by physio therapists, doctors and chiropractors. It is a very effective workout method that creates flexibility, strength and balance in the body. We are there every step of the way to help you become a Pilates Pro. 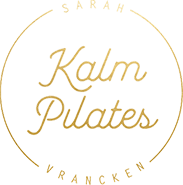 Connect with Sarah via the Kalm Pilates FB group, one-to-one consultations, regular group calls or emails. Get the results you are looking for and choose a workout programme according to your goals. Having focus and a detailed plan to follow makes the journey that much easier. You will have access to the workouts even after the 12 weeks are over. Pilates comes highly recommended by GPs and Physios for relieving back pain. This 12 week Pilates programmes has been carefully put together to help strengthen the core while stretching out tight muscle groups to create a body that is strong, flexible and pain-free. "Sarah - I am currently doing your back care programme... it is AMAZING - thank you! After having two little ones close together and a decade of back issues that have been aggravated by both pregnancies, I am over the moon to have found such a wonderful programme that I can do from home. I am already noticing the difference and I am only halfway through!" This 12 week Pilates programme will fire up your core, make you feel stronger and more flexible, while bringing calmness and balance to mind and body. 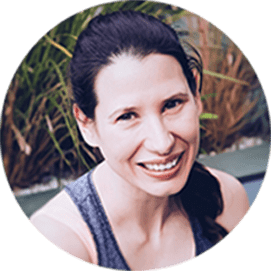 "I came across Kalm Pilates on Instagram and I'm in my final block of classes from the Get To The Core programme. I can’t tell you how much Sarah's classes have helped me. I have a long way to go but you have to start somewhere. So a huge thank you from me and I will continue with Pilates, it really is a wonderful way to take care of your body." Want to discover how Pilates can help improve your body, your sense of wellbeing and take your body awareness to the next level? Join one of our 7 day Pilates challenges and we will teach you how to master the Pilates technique and really engage your core. This 7 days course will show you the true power of Pilates! Tone up, get flexible and be in tune with your body by doing short Pilates sessions. Suitable for all ages and all abilities. Not recommended for those who are currently pregnant or those suffering from back injuries. Physios and GPs all agree – Pilates works well for helping to recover from back injuries and prevent further problems. This 7 days course will show you how Pilates works to strengthen the body while adding flexibility in the right places. It shows you exactly what you can expect from our online classes: great instruction, focus on perfect technique and expect to feel those muscles work (and we mean really work) to get great results within 12 weeks.